Lucknow, July 30: The unusual combativeness of the state bureaucracy over suspended IAS officer Durga Shakti Nagpal has taken the Samajwadi Party (SP) government in Uttar Pradesh by surprise. While many say not even Chief Minister Akhilesh Yadav had reckoned with the backlash from the IAS officials in the state, senior bureaucrats also say that "turn of events" has surprised them as well. Indian Administrative Service (IAS) officer Durga Shakti Nagpal, who took on the sand mining mafia in Greater Noida (Gautam Budh Nagar), was suspended Sunday. The UP government has, however, cited a different reason for her suspension. It said she was suspended for ordering demolition of a wall of a religious place in Noida. "It is not in the DNA of the bureaucracy to take on the state government, but in this case I find it both heartening and surprising that a group of officials has had the courage to tell their political masters that all was not well," says a senior official not wishing to be named. Insiders in the Chief Minister's Office too concede that they were not prepared for "events to take such a nasty turn". At worst, they said, they anticipated a media whipping but not a concerted and united attack by IAS officials in the state. Many attribute it to the long simmering discontent among the IAS officials who have been shunted from one post to another in the present-day government, with an average posting span of an IAS officer coming down to a miniscule two to three months. "There is anger among the officials at the raw deal they are being given by not being allowed to function and by the incessant meddling in day to day affairs by the ruling SP leaders at district levels," said an official. He pointed out how at the behest of a senior SP leader and the illegal sand mining mafia, Nagpal was given the marching orders. "It is everywhere. These SP men have made our lives miserable and it had to be sometime that one of us reacted," said a district magistrate, posted in central UP. Officials see Nagpal's suspension as their moment to salvage their honour, which they feel has been eclipsed under the present day government. While others feel that things were far worse during the regime of Bahujan Samaj Party when Mayawati was the chief minister of the state, they say the situation has not improved much under Akhilesh Yadav. "Things are very different now, the IAS breathe easier now, IAS association is functioning and after a gap of several years, the IAS week was held in the state. But I guess the officials have been spoilt with these niceties of the young chief minister," says an SP leader angrily. Alok Ranjan, acting chief secretary, says that the demand of the IAS association is before him and the officials feel the suspension was uncalled for and unfair. "I will present their case before the chief minister," he added. A senior bureaucrat points out that the days of 'his masters voice' in the state were over and that with new mindset officials in the services, egged by a proactive and watchful media, things were not going to be a cakewalk for any ruling party. Akhilesh Yadav, officials say, "is a nice person but indecisive, immature and administratively directionless". Too many "bosses" in the state government have also spoiled things. "The government is divided into camps, the Shivpal Singh camp, the Azam Khan favourites, the Mulayam Singh appointees...in such times people will see rebellion as the hierarchy is breaking down," says a veteran bureaucrat. Officials are also miffed at the state government citing them as reasons behind its failures and riling them publicly on many occasions. 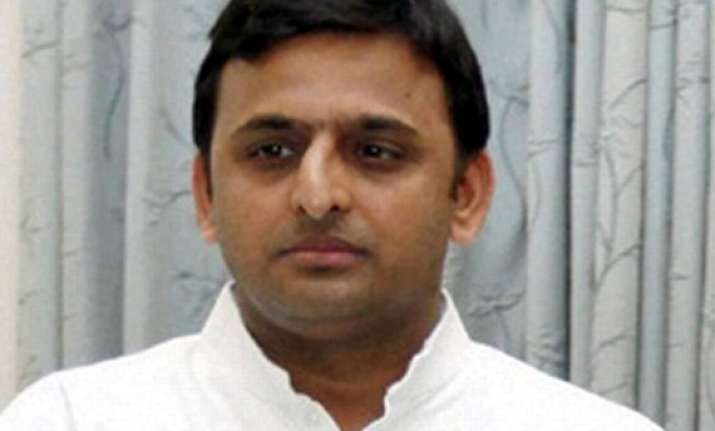 Chief Minister Akhilesh Yadav only recently spoke of "enemy officials" who were derailing the welfare schemes and projects run by the SP government. This too has not gone down well with the state bureaucracy which feels that the "ills plaguing governance were in fact from within the ruling party and not among them". While Yadav has stuck to his guns so far, telling reporters in Bangalore Monday that the suspension of the lady IAS was routine, his uncle Ram Gopal Yadav's statement that the state government rushed in its judgment shows that chief minister might have to bite his words and reinstate the suspended official. The Nagpal episode, many feel, is only a way for the bureaucrats to show the chief minister that he cannot possibly take them for granted!